Previous month there was a guy that frozen for 300 mil on ETH wallets, now a kitten game is slowing down the network. And now ETH has some major problems because of a Kittens game. Wondering why you Ethereum transaction is still not received after couple of hours? This is because of an issue with the Ethereum network that is caused by Cryptokitties.co. Yes, it's true a kittens game. The game delivers problems on the Ethereum network so transactions will slow down. The complete network is stuck right now. Ethereum is searching for a solution. In the meantime, you can create your crypto kittens ;) You laugh about it but it's very seriously​. 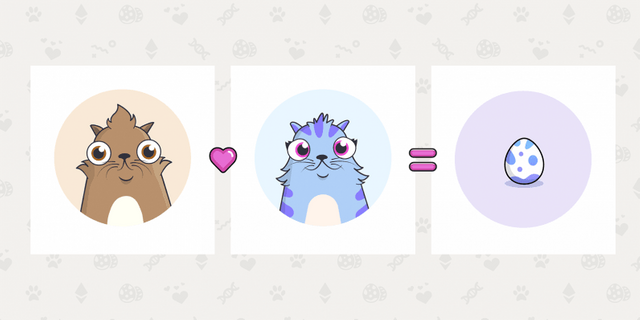 Cryptokitties a game where you can create your own kitten. At this moment a transaction of 100.000$ was already paid for an exclusive kitten. The game is so popular that there are more than 25.000 kittens at the moment. Like this post! Please upvote.. Please share your wallet id and choose your favorite coin! Support our experts for writing new articles and get the best information from investors and the web. No matter what you donate, it’s always welcome! Don’t forget the dealer :P to donate when you make high profits with your investments! Want personal advice, please contact me! Have any other questions ask them in this post.